Today, Bruce Katz, Centennial Scholar, Brookings Institution, and our 2017 Summit Keynote interview with Fareed Zakaria, shared the following information with leaders across the country. As cities around the country rush to respond to Amazon’s RFP for its new HQ2, it’s worth remembering that urban economies aren’t really built by winning a contest; they are grown methodically by building on a region’s strengths. I think most of us understand that the race for long-term prosperity isn’t defined by the month-long sprint to lure $5 billion of investment from Amazon; the real game is the marathon of figuring out which cities will lead in the research, development, and commercialization of breakthrough technologies…. 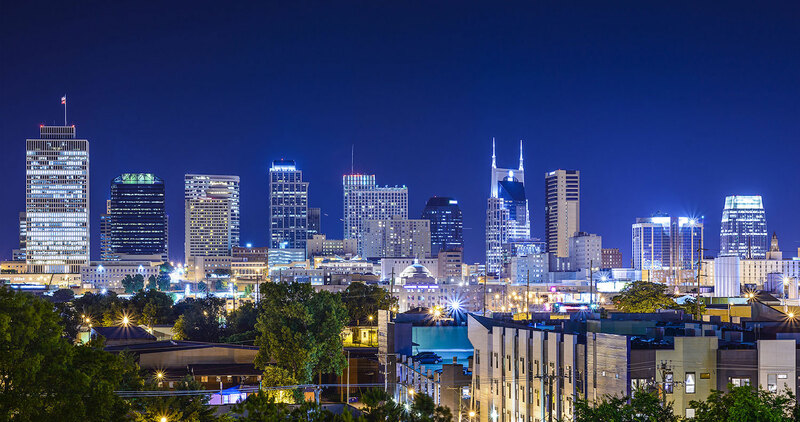 Nashville and Middle Tennessee are well-positioned to compete in the long game of economic growth through research, development, and commercialization of breakthrough technologies. With our twenty-two colleges and universities, sponsored research, core facilities, and research capabilities, we are the heart of a major global innovation hub in formation. Katz uses Pittsburg as an illustration of the long game strategies that build winning solutions. According to Katz, Pittsburg’s current position—as a center of world-class research institutions, technology-intense manufacturing, and high-skilled workers—is the end result of a decades-long process that began in small, niche research labs at Carnegie Mellon University and the University of Pittsburgh and has grown organically into region-wide competencies, now attracting investments from major firms such as Google, Uber, and GE. The course of this economic transition puts Pittsburgh on the vanguard of the New Localism that Jeremy Nowak and I have written our upcoming book about. This theory of policy-making and problem-solving reflects the gradual devolution of responsibility down to the local level but also recognizes that the modern economy can’t be governed by 20th century practices. As I’ve covered in the past, city leaders need new sets of tools and reconceived norms of growth, governance, and finance if they are to compensate for the retreat (or hostility) of national and state governments. Pittsburgh embodies a new growth model. The city’s current position is the result of quiet leadership from across the public, private and civic sectors, by people who understood the need to move away from a sole reliance on heavy industry, and developed the robust innovation ecosystem powering today’s growth. Up to this point, focusing on developing technological strengths has put Pittsburgh among the thirty or so global cities that are positioned as leaders in next-generation technologies. Even with this excellent foundation, Pittsburg still has much to do to be globally competitive, Katz notes. In addition to the research-commercialization core built, Katz says Pittsburg still has “to master the other two legs of the stool: governance and finance,” that is, the city still needs a civic convener and capital market capacity to drive its innovation hub. Collaboration is never easy and rarely rewarded immediately. Even with the tremendous assets present in Pittsburgh, to make it happen, you need to make it someone’s job. Leaders in these positions have the luxury of looking across the whole region, identifying key clusters, and seeing the points of connection between them. Here we in Nashville are ahead of Pittsburg. Our area universities and business community have already created the Global Action Platform as the civic convener for university-business engagement and innovation economic strategy. In addition, with its partnership with oneC1TY, Nashville also has the physical infrastructure for a world-class innovation hub campus actively under construction. Creating such innovation campuses is a major global trend. Australia has just created a $3B fund to build a national innovation campus in Melbourne, with satellite campuses in every province to advance their innovation economy. St. Louis has Cortex, a major innovation hub that has launched 400 new companies into the local economy. Red Hook in NYC, Innovation Park at Notre Dame, Skysong in Phoenix, South Lake Union in Seattle—these are but a few of the other successful examples. Increase and align the capital markets of the region to support continuous investment in new technologies and companies grown in the region. Katz and other experts on these strategies will join us at the 2017 Summit. We look forward to working with you to advance these strategic goals.